In Buddhism, there are four immeasurable expressions (love, compassion, sympathetic joy, and equanimity) which represent the primary qualities of a fully enlightened Buddha. In this session we will define and discuss these qualities, how we understand them, as well as meditate on them through recitation and inner contemplation. Stephanie Prince has studied and practiced Buddhism in the Tibetan tradition for more than 40 years and holds a B.A. in Comparative Religion from the University of Washington. 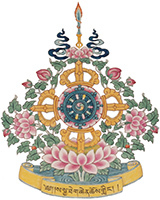 She has received teachings and major initiations in the four major schools of Tibetan Buddhism, including the Sakya LamDre (Path with its Fruit), both the Lamdre Tsogshay and the Lamdre Lobshay. She has taught on general Buddhism and has guided Buddhist ritual classes at Sakya Monastery of Tibetan Buddhism. She also serves as a Buddhadharma mentor and VEI catalog editor.